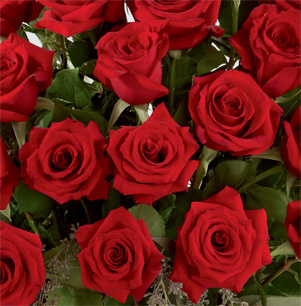 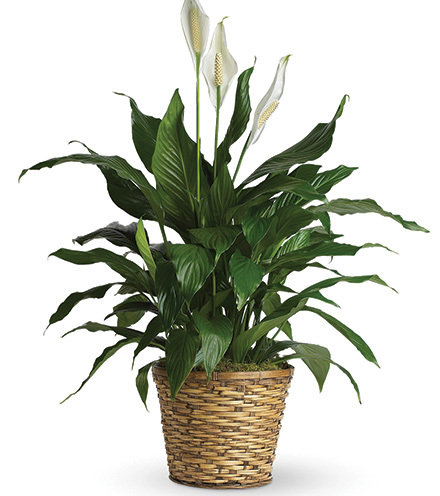 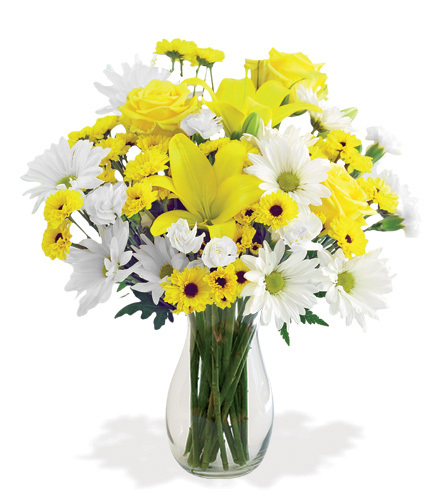 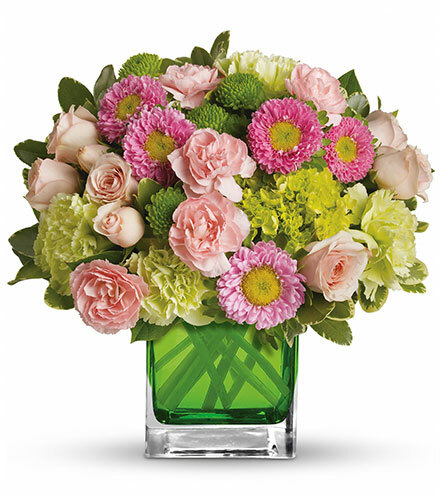 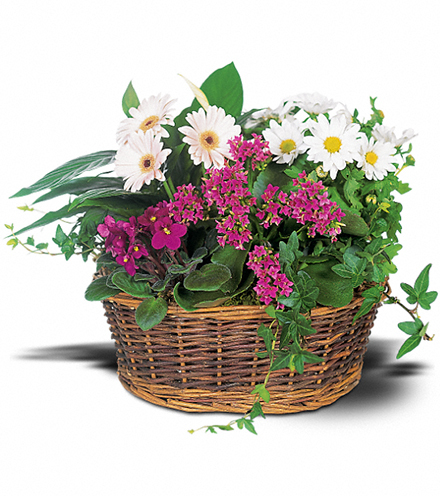 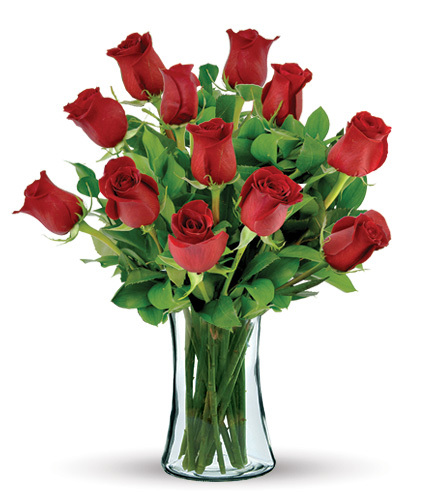 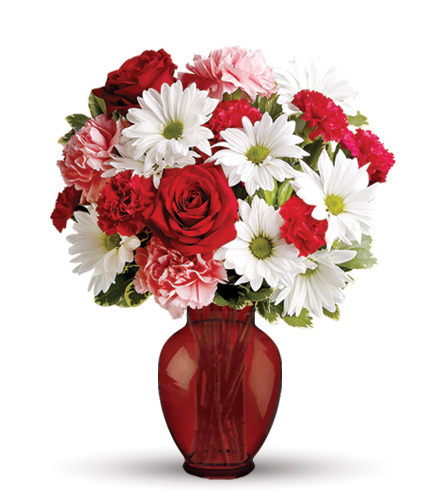 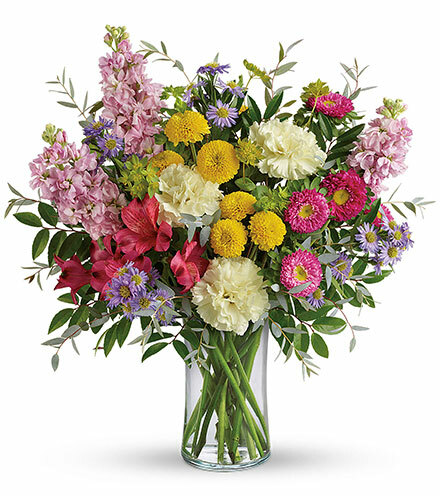 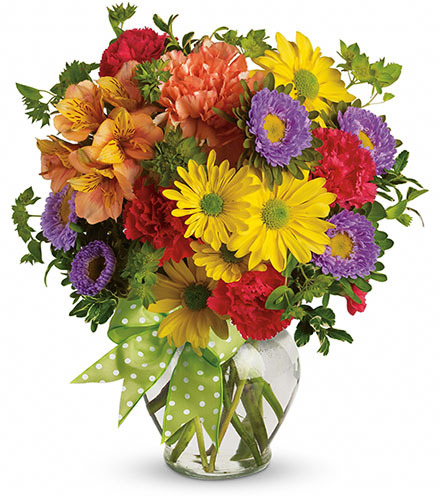 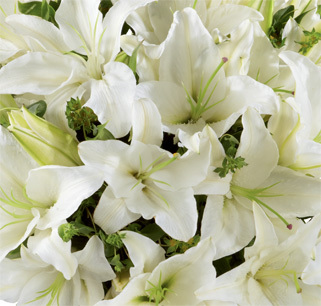 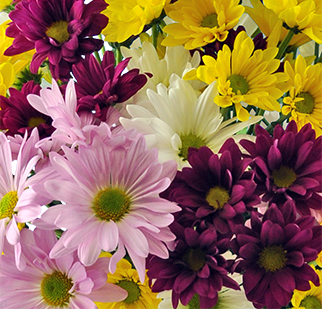 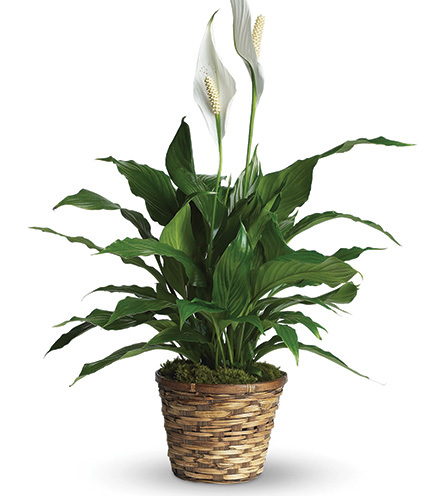 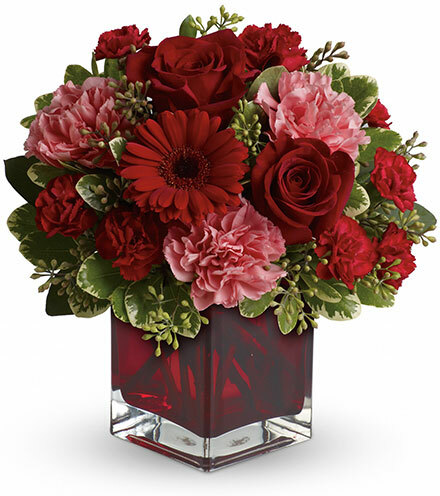 This fresh flower bouquet could have come straight from a garden. 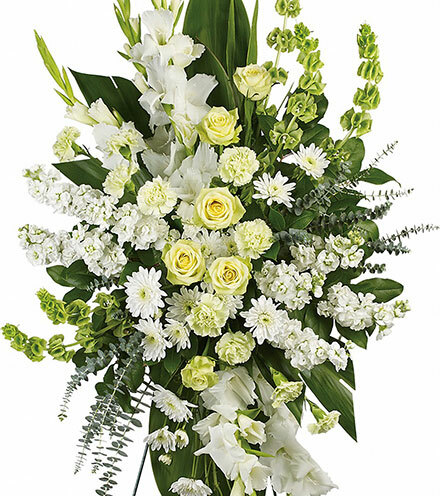 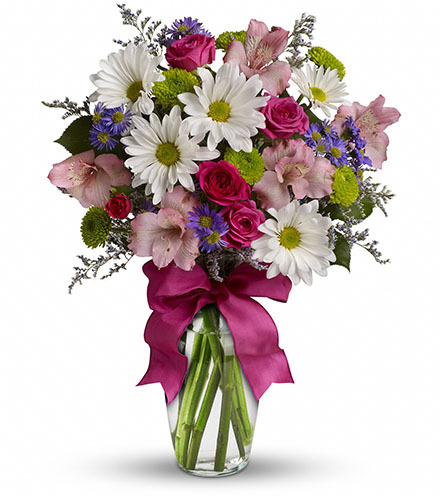 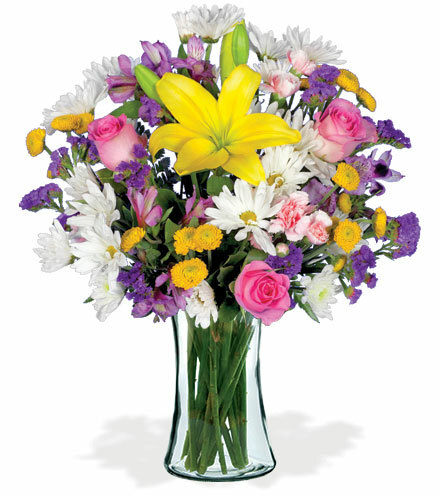 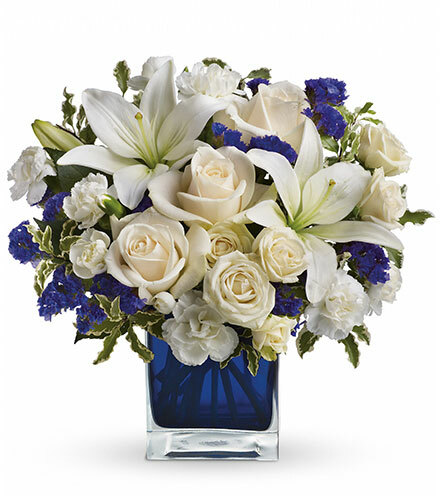 Daisies, button poms, alstroemeria and statice along with long-stem roses and elegant lilies for a complementary blend in courageous colors. 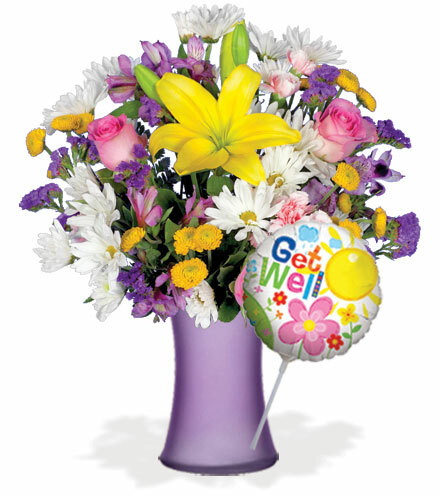 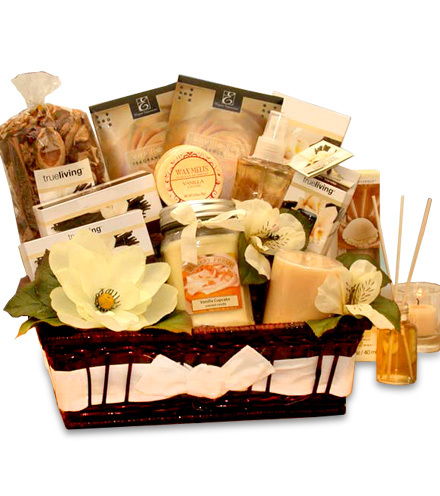 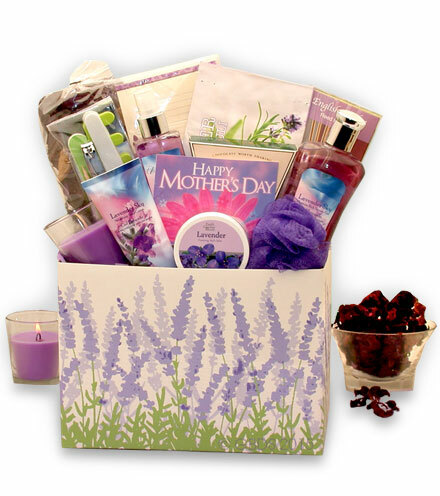 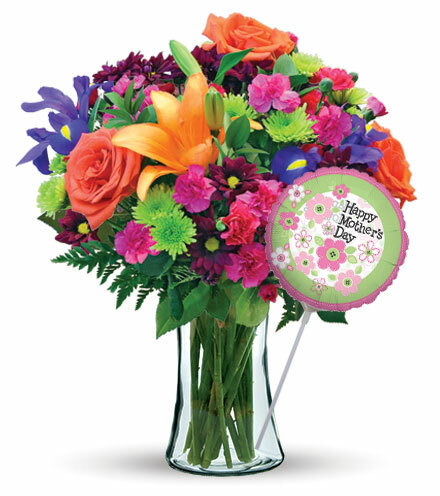 Arranged in a purple vase and adorned with a get well balloon, this package is the perfect way to express your sentiments.